The Grand Rapids Student Advancement Foundation is struggling with brand awareness with community members. Most community members are not aware of what GRSAF does and in which school they fund-raise for. Sub-brands are also inconsistent and do not operate as a whole system. GRSAF is going through an identity crisis. The overall solution for GRSAF’s branding is create awareness of the brand and its efforts. The foundation’s identity needs to connect with the school district in which is supports which are the Grand Rapids Public Schools. Through color, typography, language and cohesive sub-brands the foundation’s identity can connect better through community members and create awareness. All sides of package. 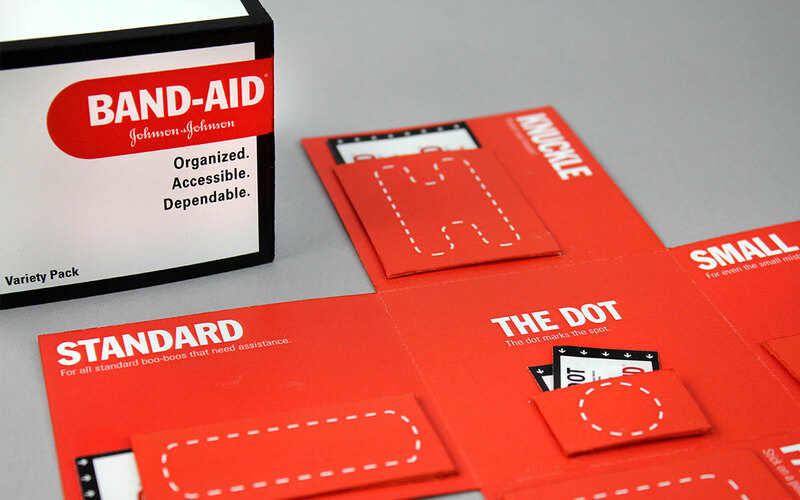 The color red was chosen as it one of Band-Aid's brand colors and is provides a sense of urgency, action and confidence; all emotions one in an emergency situation needs. 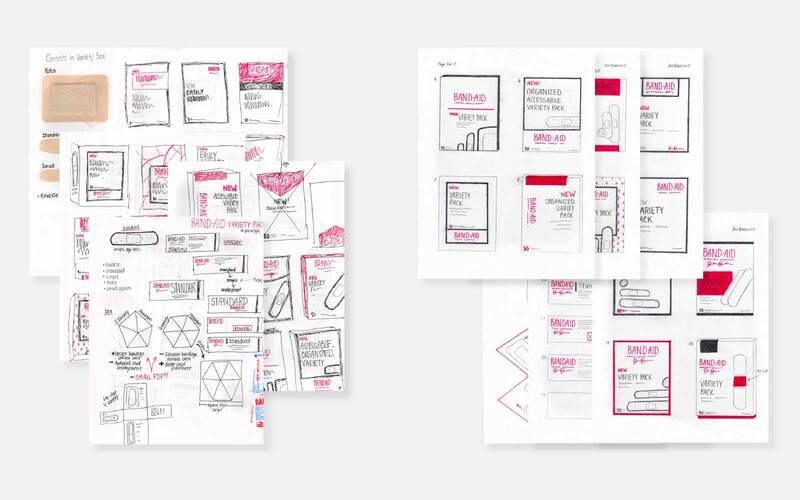 Paper dummies and prototype exploration of package design 2 as well as consumer feedback. Feedback from the first package design was that the organization of the bandages was very helpful but the package had a lot of wasted space and folding the flowering bottom back up into the lid was difficult. 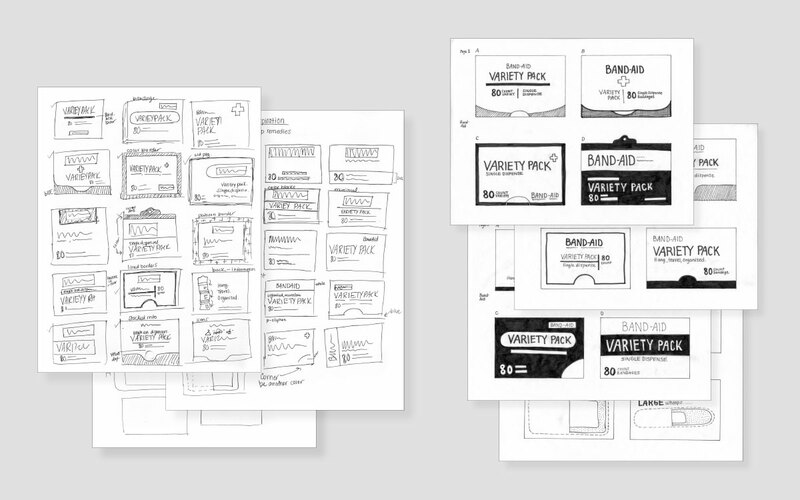 Package Design 2: Sketches and thumbnails. 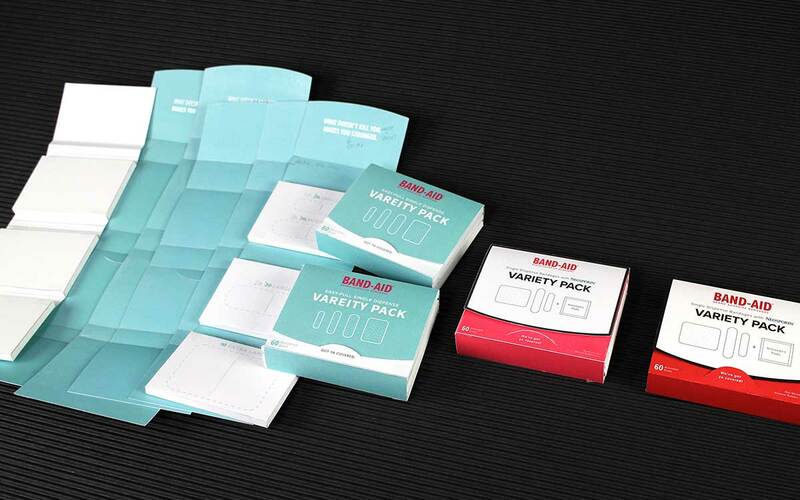 A second round of iterations and designs were conducted based on the feedback on the first package design. Paper dummies and prototypes exploration of package design 2. 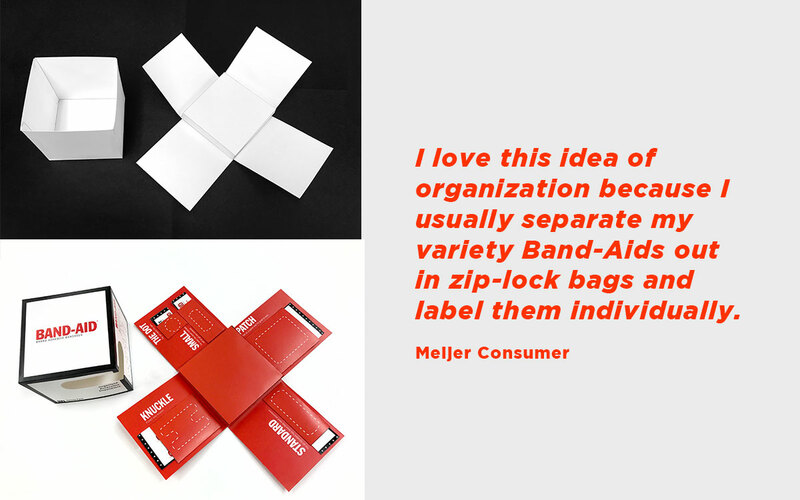 Functionality, ease-of-use, and speed were evaluated when creating the new fold up package. 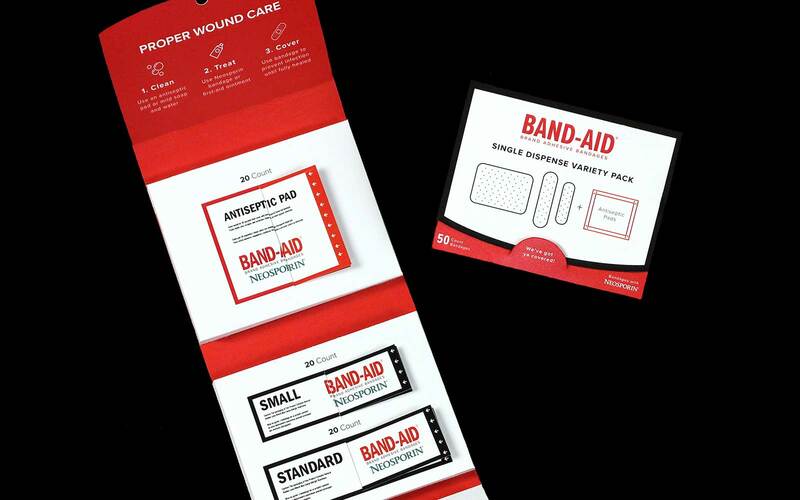 The second package design creates better ease-of-use with the fold out design and also keeps the organization and clarity of various bandage sizes. Benefits were also added to the second package which included antiseptic pads and Neosporin bandages so users could clean, protect and cover their wounds in an all-in-one organized fashion. If you’re looking to collaborate or chat, you are very welcome to contact me.